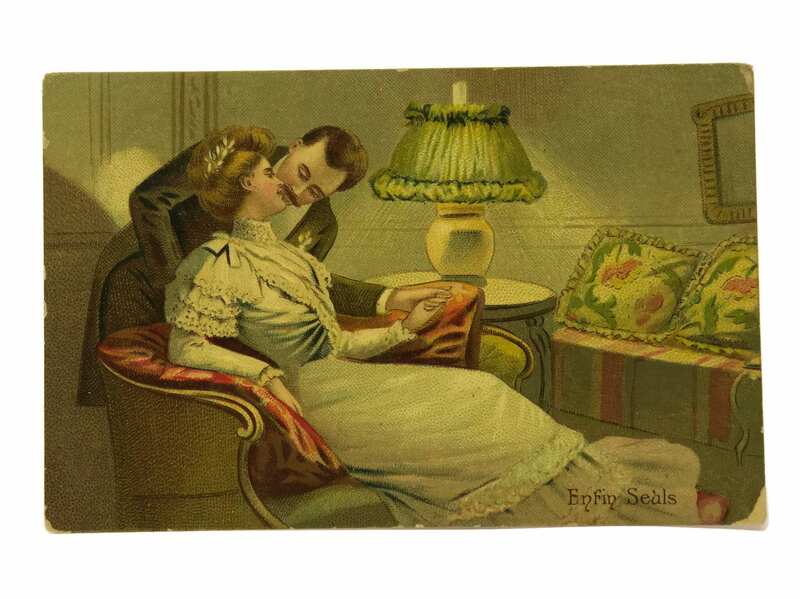 Antique Illustrated French Postcard with Romantic Kissing Couple. 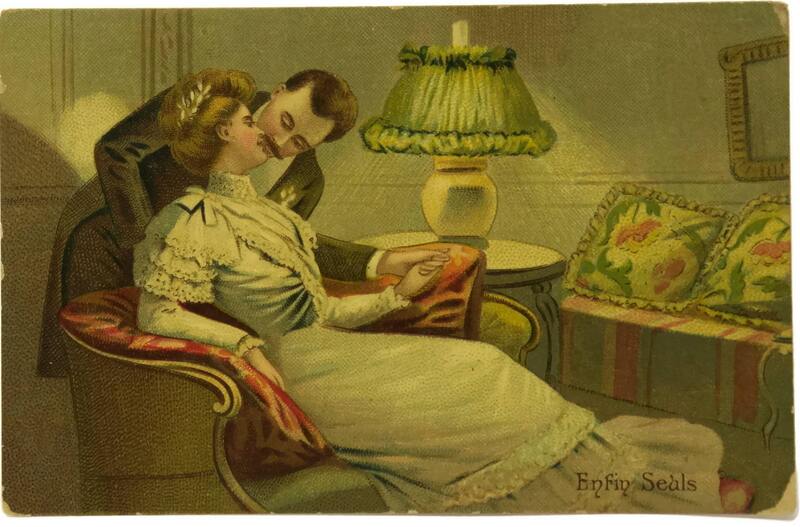 A romantic antique French postcard from the early 1900s. 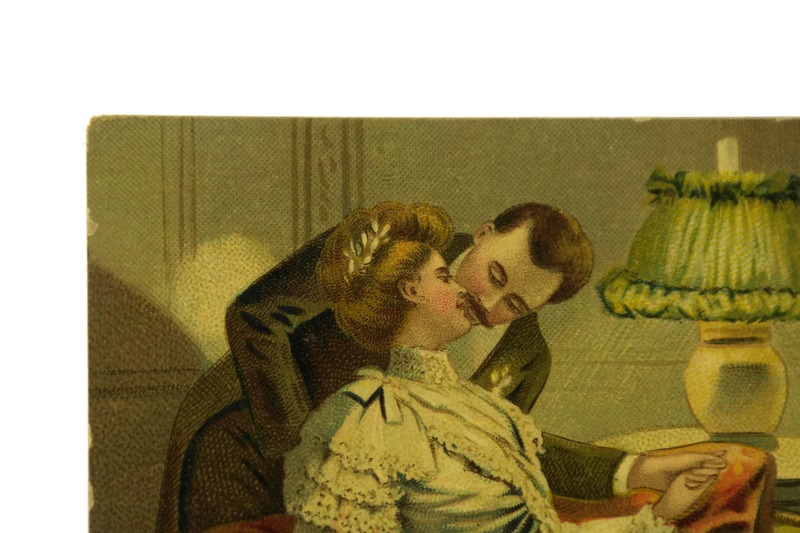 It has been illustrated with a charming chromolithograph image of a kissing couple. 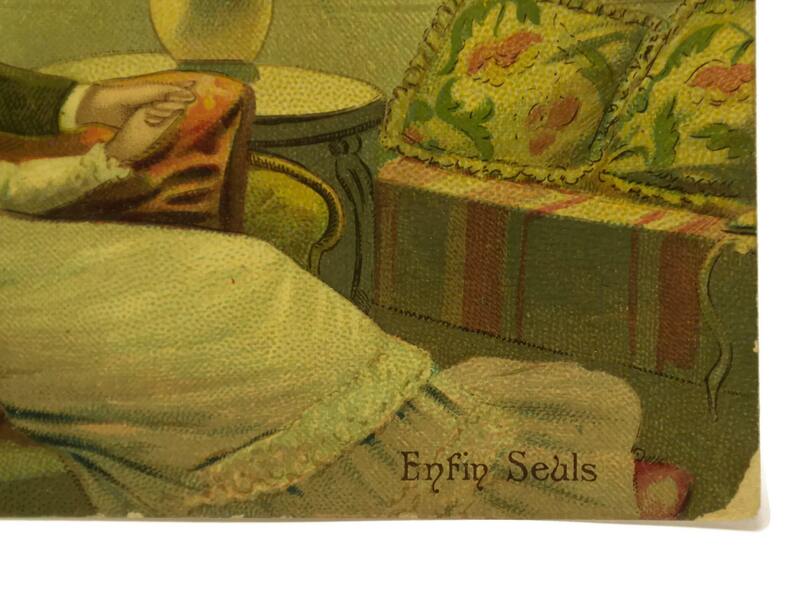 The bottom of the card has a French expression for "Alone at last" (Enfin seuls). 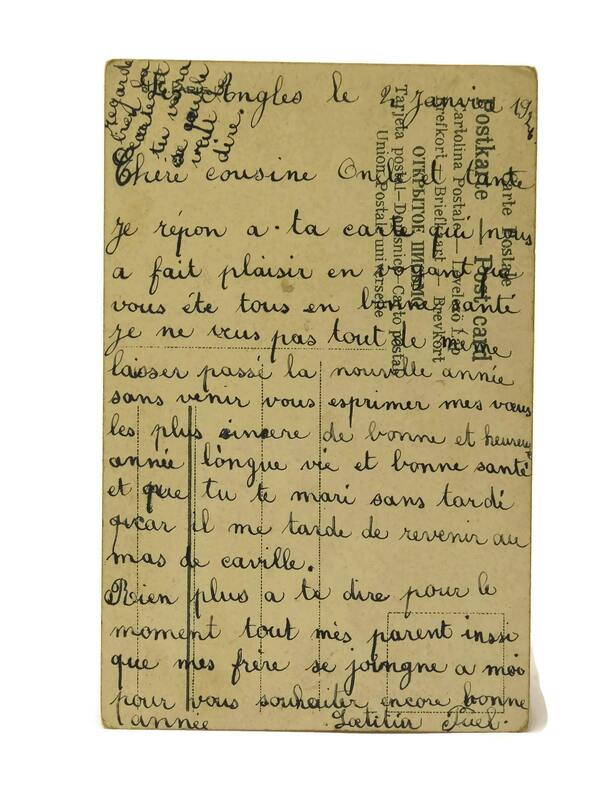 The reverse of the card has a hand-written message. The card is in good condition with wear to the corners and edges of the card.